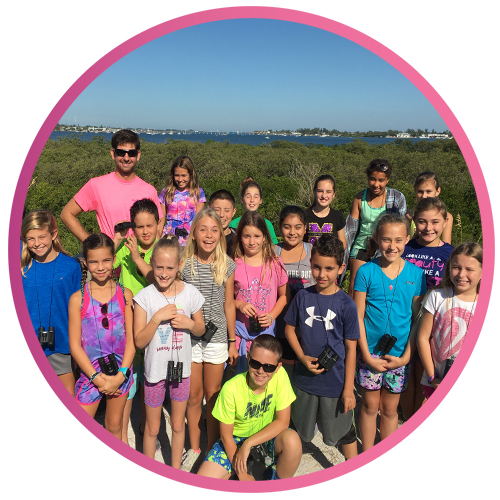 Nature’s Academy is a nonprofit environmental education company in South Florida focusing on educational field trips designed to educate and inspire students. After all, our future is in their hands! To enhance STEM literacy and foster environmental stewardship in our local community and beyond. Nature’s Academy works with schools and other group organizations to transform students into citizen scientists through inquiry-driven programs designed to increase academic success, STEM aptitude, and environmental awareness. We are dedicated to providing memorable outdoor experiences to students and citizen scientists, motivating their personal involvement in the enhancement of natural habitats, and advocating sustainable approaches to the use and enjoyment of our natural resources. Based in the Greater Tampa Bay Area, we have decades of experience teaching environmental conservation across a variety of disciplines, including ecology, marine science, botany, chemistry and physics. Our education programs focus on science conservation and cater to school, family and group organizations. Participants are immersed in a variety of exciting activities, such as snorkeling, kayaking, canoeing, guided nature walks and hands-on discovery at parks and science facilities throughout the state. Carrying this mission forward involves a three-pronged approach: STEM Education, Stewardship, and Inspiration. Prior to founding Nature’s Academy, Dana Pounds, a marine biologist, was diagnosed with a rare cancer affecting her right leg. After battling the disease for ten years, Dana had her leg amputated to save her life. Through her struggles, Dana further realized her purpose and the value of delivering lasting educational impressions to her community and future generations. As a result, Nature’s Academy was launched in 2007! By linking abstract scientific concepts to hands-on activities including a diagnostic water quality investigation, wildlife sampling, and waterway observations, Nature’s Academy promotes STEM aptitude and addresses the science education crisis in Florida. The learning doesn’t stop there, by participating in action items including a coastal cleanup, citizen science data collection, and conservation project creation, students are inspired and empowered to become local environmental stewards and to leverage science toward positive change in society. Over the years, Nature’s Academy has quickly expanded to reach an increasing number of citizens and provide these programs at a variety of sites, including barrier islands, forest communities, and an organic farm. To date, our programs have impacted more than 65,000 students, teachers, and parents from 42 states and five countries. At Nature’s Academy, we love to help young (and old) minds dig deeper and explore the world they live in. We focus on science and conservation of the natural world that surrounds us. These programs are intended to supplement classroom curriculum and also integrate STEM concepts into hands-on activities. For example, students serve as citizen scientists by collecting real biodiversity and water-quality data through field tests and surveys. 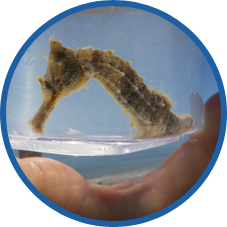 This data is then uploaded to an online database, which will soon expand into a regional collaboration with the Gulf of Mexico Coastal Ocean Observing System (GCOOS) and other citizen scientists in Galveston, Texas. Through grant funding and community outreach, Nature’s Academy gives students from all backgrounds the opportunity to attend outdoor marine science-based field trips in their local community. Students transform into citizen scientists by collecting and recording real sea grass biodiversity and water quality data. 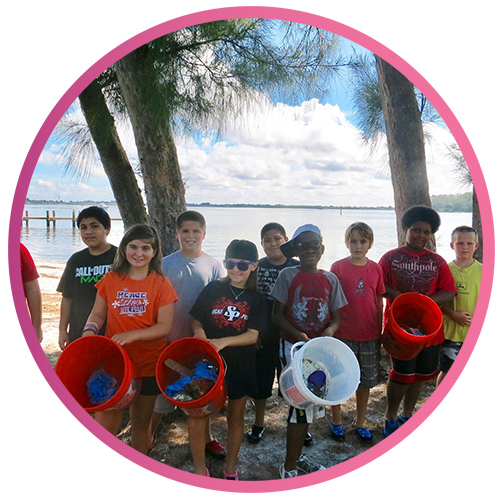 Students also learn about the natural world around them while participating in guided nature walks and a conservation activity where they collect litter from the beaches along the South Florida coasts. These life altering experiences teach students about the importance of preserving our environment while learning valuable life lessons about teamwork and never giving up. As citizen scientists, students directly contribute to positive change for their data is uploaded to Nature’s Academy’s Citizen Science Database, an online server that shares water quality data with people from all over the world. Students return to class with a better understanding of science, a greater appreciation for the environment, and a reusable water bottle to further instill a sense of stewardship. A truly remarkable cause! Our board members and staff bring over thirty years of experience in environmental education with them. We are dedicated to conservation and sustainability and have made it our mission to share our passion through education. Safety is our number one priority – all Nature’s Academy staff are American Red Cross Lifeguard/CPR/First Aid certified.